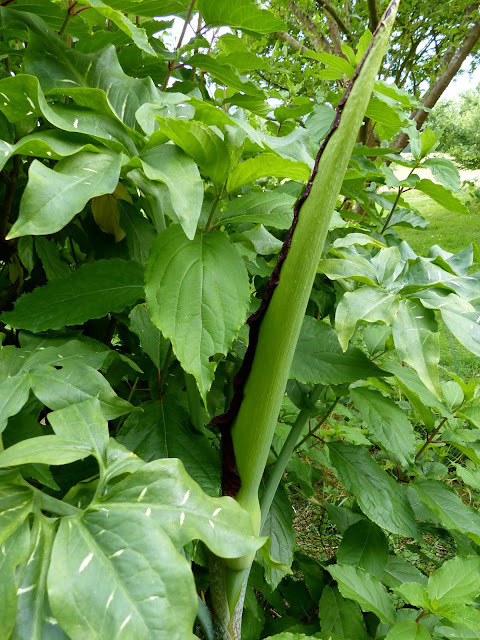 Every year in spring, a light grey-green, marbly stalk grows up to a metre and a half high beside my greenhouse before forming two or three deep-green jagged leaves. 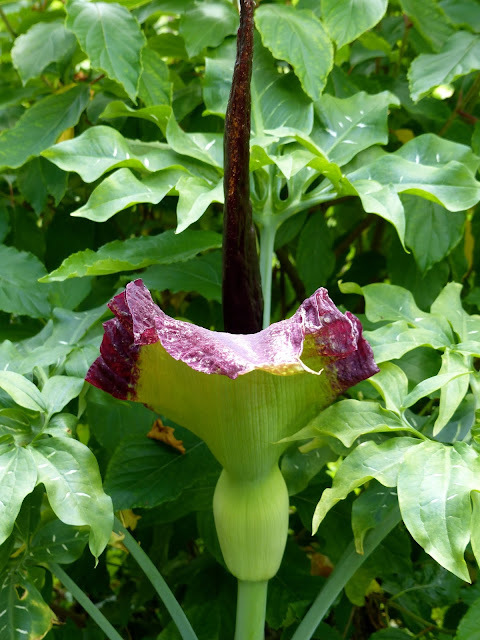 The flower then begins to unfold revealing a long purple-black appendage in the centre surrounded by a giant `petal` in the same dark hue. 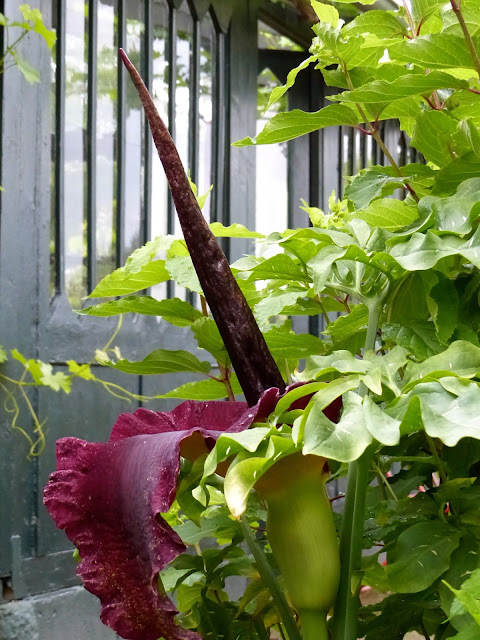 To look at it is very attractive and spooky but depending on the year my greek voodoo lily spreads a nauseous, dungy, meaty odour or this year just the smell of rotting fish. Such an attractive scent attracts carrion flies and the occasional beetle which obviously help pollinate the flower. The smell worsens over a 48 hour period and then today it just died.... to return again in all its glory.